Can you find the Wookiee? Shouldn't be too difficult, he's seven feet tall and covered in hair! 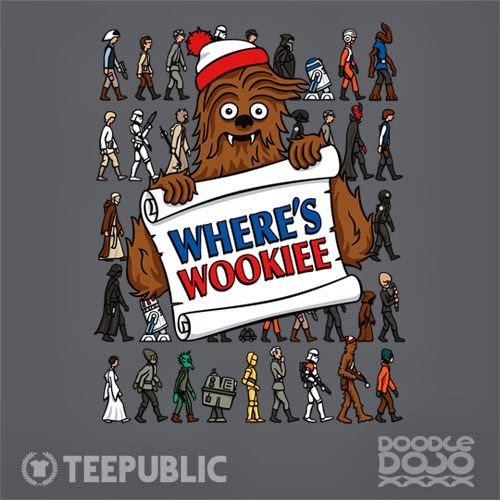 Find lots of your favourite characters on this Where's Wally/Waldo style Star Wars T-shirt. See size, colour and style options at Etsy or on the product page on Teepublic. You will also be able change the pricing options to your local currency. Also available as prints, laptop skins, tees and iPhone skins from Society6.